Those who were gamers back in the 8-bit era will likely rejoice at the news that video game Capcom will be bringing back a collection of Disney games from those golden times this April. 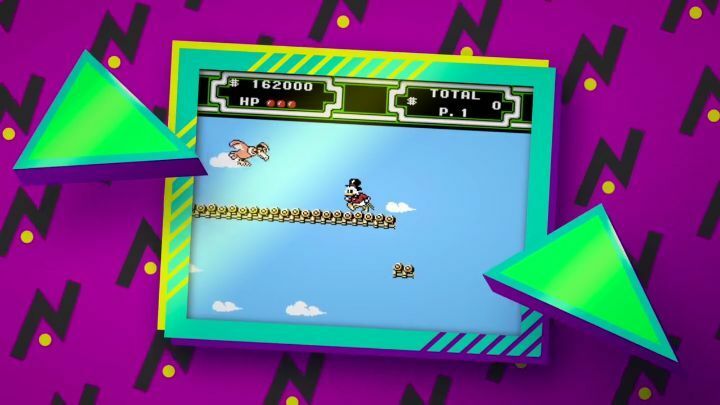 This is because the upcoming “Disney Afternoon Collection” will feature games like Chip ‘n Dale Rescue Rangers 1 and 2, letting players enjoy some retro co-op platforming action, and other games like Darkwing Duck and TaleSpin. But perhaps the best-known games featured in this bundle are DuckTales 1 and 2, featuring the adorable Scrooge McDuck in two platforming games that became classics of the 8-bit era. Aside from the game’s themselves, there are some welcome new features such as “Rewind”, which will come in handy for those whose reflexes are not what they used to it and have trouble completing these devilishly difficult games. This feature allows players to go back to an earlier point in the game at the press of a button, surely saving them from unnecessary frustration. Of course, those not fond of retro gaming and pixelated graphics won’t dig this latest Capcom collection much… But gamers old enough to remember these golden oldies could be tempted to take a journey down memory lane and enjoy this 8-bit classic once more when this bundle of Disney games hits shelves later this year. Note: The Disney Afternoon Collection will be released on April 18, 2017. Available on PS4, Xbox One and PC.